Throughout history, Western philosophers have buried women’s characters under the category of “men’s nature.” Feminist theorists, responding to this exclusion, have often been guilty of this exlcusion as well focusing only on white, middle-class women and treating others as inessential. 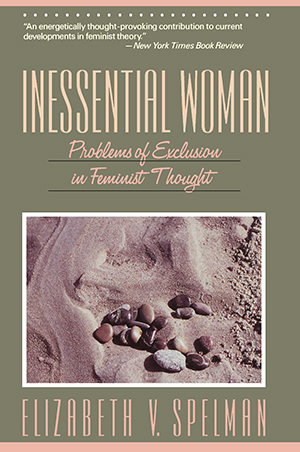 Inessential Woman is an eloquent argument against white, middle-class bias in feminist theory. It warns against trying to seperate feminist thinking and politics from issues of race and class, and challenges the assumption of homogeneity that underlies much of feminist thought.